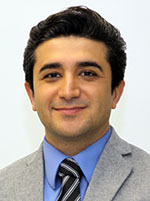 Dr. Dastmalchi joined the faculty of the University of Florida in 2016 to become part of the Preston A. 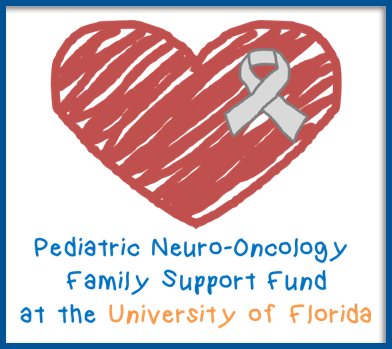 Wells Jr. Center for Brain Tumor Therapy in order to focus on developing novel approaches to target and treat brain tumors. He is working on a pre-clinical platform that utilizes tumor-specific autologous immune cells to efficiently target human intracranial tumors, an approach that stimulates the patient’s own immune system to attack cancer cells, currently regarded as cutting edge novel treatment for glioblastoma multiform tumors. He is also working on developing more effective vaccines as selective treatment to minimize the damaging effect of vaccinia virus infection. In this case he is focusing on the TNF receptor family of costimulatory molecules in enhancing the CD8+ long-lived immunity in mucosal surfaces of the lung with in application on vaccine development. He used to study histopathology of lung and spleen at the University of Florida, Department of Pathology, Immunology and Laboratory Medicine. Dr. Dastmalchi earned his Doctorate of Veterinary Medicine (DVM) in Iran. His thesis “Immunohistochemistry, Histopathological and Clinical Effects of Phlomis tuberosa Herbal Extract after Skin’s Surgical Trauma in Rabbit” in 2007 earned him the highest possible rank. Between 2007 and 2011 he worked as lab manager and senior research assistant working on the inhibition effect of silver nanoparticles on viral and bacterial infections in vivo and in vitro of nano-particles toxicity effect on bone G222 cancerous cells, and normal bone cells in stem cells model. This involved designing the various forms of n-capsulated nanoparticles at the R&D Department of Nano Nasb Pars Pharmaceutical Company resulting in 34 national, 3 international and one US patent registered in the company’s name. From 2012 to 2014 Dr. Dastmalchi was Senior Research Assistant working on Therapeutic approach of Temozolomide for newly diagnosed Glioblastoma Multiform by focusing on three different strategies to developing more effective combination therapy that include Temozolomide/DC’s vaccine/Radiation therapy, Temozolomide/CD8+ effective cell vaccine/Radiation therapy, and Temozolomide/Radiation therapy(Classic strategy) and the pharmacokinetics of Imatinib in chronic myeloid leukemia and other malignancies at the oncology research and pharmaceutical Companies.